The minimum number of people is 1, maximum is 16. The minimum age to join the tour is 6 years. The length of the exploration (excluding transport & eating time) depends on speed and curiosity of the group, as well as weather. It is usually about 3.5-4 hours. What to bring: Light jacket, sun hat & protection, sensible walking shoes. Private tours: The minimum number of people is 4, maximum is 16. We offer our private tours in English, Spanish, Portuguese, French, and Czech. Please inform us of any allergies/food preferences at the time of your booking. We want to ensure you enjoy our picnic. Cancellations can be done up to 24 hours before the trip with 100% reimbursement. For later cancellations, there is no compensation. On rare occasions, the tour may need to be postponed due to bad weather. In these circumstances, we will offer you alternative dates or we will refund you 100% of the paid amount. 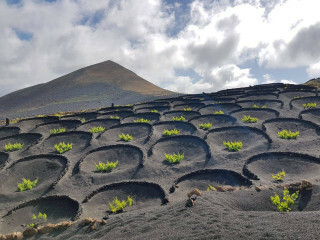 Walking across quiet landscapes on a foreign planet is difficult to imagine, until you visit Lanzarote's volcanoes. 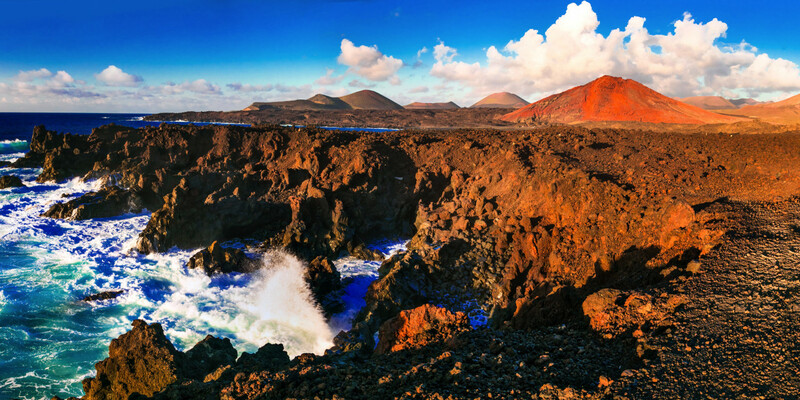 Since the Timanfaya eruptions in the 18th century, the area has resembled something out of this world. 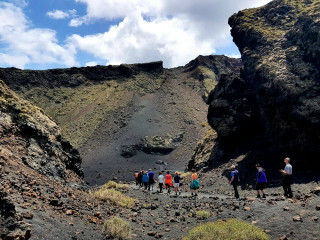 Led by a geologist, this tour lets you explore volcanic mysteries – and history – in a whole new way. Our tour begins with a pickup from your hotel at 9:00 a.m. Ahead are 7 km (4 miles) of low-intensity hiking for about 4 hours, so comfortable, closed shoes and sun protection are recommended. Kids and people of all fitness levels are welcome – except for one climb, we walk across flat surfaces. 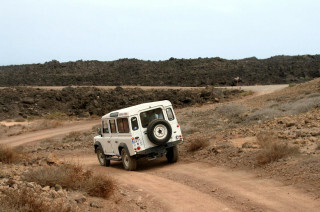 This experience is primarily an informative trip combined with an exploration of a stunning geological site. If you feel you need walking sticks, let us know; we always have some ready. The first volcano of the day is a large explosive crater. Here is where climbing is required – about 40 min of medium difficulty – but it is definitely worth it. 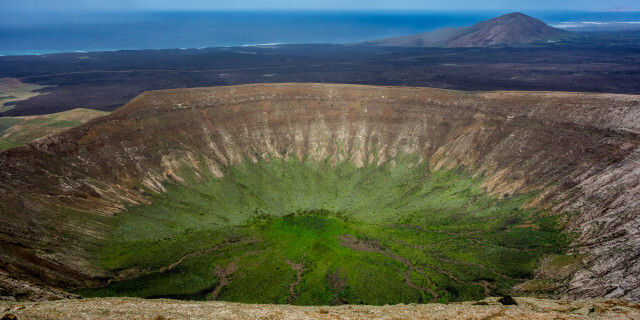 Once at the top, we see the amazing depth of the crater and breathtaking, panoramic views of the volcanic landscape around us. As a geologist passionate about understanding and protecting nature, our expert guide has plenty of information to share. Knowing just how the area has evolved makes it all the more fascinating. 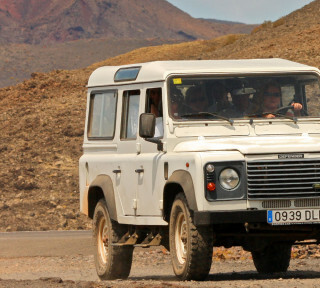 Following our descent, we get back in our land rover and drive to the second volcano, where the biggest “volcanic bomb” on Earth awaits. This type of “bomb” is a ball of lava thrown out by a volcano; the one we see looks like a strange, massive rock, measuring 5 m (16.5 ft) in height and 4 m (13 ft) in width. The volcano itself is a bright red cinder cone reaching up to the sky. Finally, we drive to the biggest highlight, our third volcano. Because it is cracked on one side, we are able to enter the center of the crater. 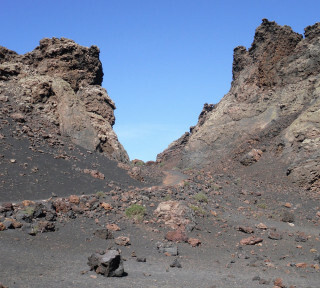 Surrounded by countless abstract volcanic shapes of solidified magma, it's difficult to decide where to look. It is an amazing, once-in-a-lifetime experience, like being in “the belly of the beast”. About halfway through our tour, we enjoy a pleasant picnic lunch which can accommodate any allergy or food intolerance if you let us know in advance. And thanks to our guides' dedication to sustainability, the food and its packaging are always eco-friendly. 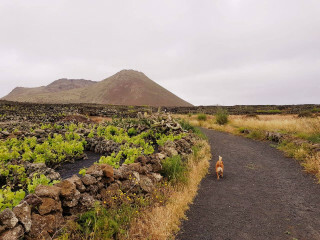 Before we drop you off at your hotel, you are welcome to ask any last questions about the geological wonders you have discovered in Lanzarote. This educational, unique journey through an alien-like "planet" is sure to be a highlight of any trip. 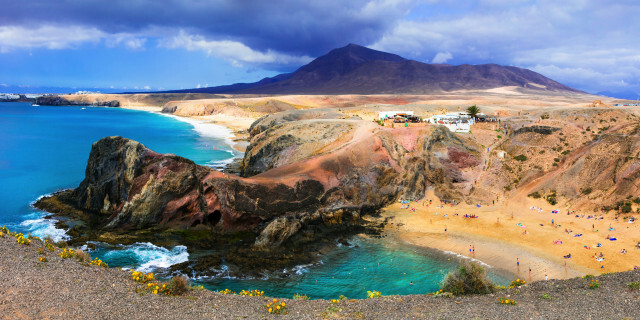 Discover the protected landscapes of Lanzarote’s north. 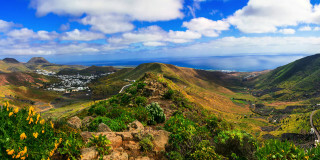 From extinct volcano Mount Corona to fragile but surviving ecosystems, we learn about the island's history as we explore its trails.